It’s no secret that more consumers are turning to online shopping for the convenience it offers, but the truth is that online shopping is hardly without hassles. In fact, it can be a nightmare for merchants. While giant online merchants like Amazon and eBay have mastered the process of capturing an online sale, most ecommerce sites continue to limp through the process. Navigating the complex world of payments, including leveraging promotions effectively, automating subscription renewal and website optimization, the struggle for small to mid-sized merchants can seem unending. 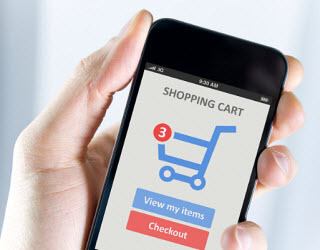 According to the latest research from Baymard Institute, the online shopping cart abandonment rates are as high as 67 percent—a startling percentage given that more consumers like to shop online, with online retail sales expected to grow between 9-12 percent in 2013. Studies have shown that shopping cart abandonment rates increase when the payment complexities of the global marketplace come into play. Language barriers, alternate payment types and currency issues all make up the reality of today’s online shopping experience. We took a comedic look at some of these challenges through the eyes of two budding entrepreneurs running their own e-lemonade stand. Check out the short video clip here. Lack of local currency or local payment types– ecommerce can be a great medium for businesses to open their doors online and offer goods and services worldwide. However, many businesses are leaving money on the table by alienating the global audience as they do not have the provisions to accept payments in multiple currencies and payment types. Businesses typically like customers to pay in the currency the business is comfortable accepting, not the currency the customer is interested in paying with. While it is understandable that trying to process payments from around the world in different currencies and payment types can be a logistical nightmare for merchants, it is actually a simple obstacle to address. The easiest way to overcome this is to integrate with a third-party payment platform that handles the complexities of payment on a merchant’s behalf so that the merchant can be more productive in fulfilling and processing orders rather than figuring out payments. No local language, no thanks! – If customers can understand exactly what they are buying and being charged for, they will be more comfortable paying online. Unfortunately, most online payment platforms do not offer a fully localized checkout experience – including local languages and currencies leading to customer confusion and a high rate of cart abandonment. There are dozens of reasons why customers leave a website empty handed, but these simple tips, along with insight from this cute video about cart abandonment, can go a long way in increasing actual checkouts and ultimately, a merchant’s bottom line.